With the Superbowl on the TV and friends and family over until at least halftime, I had to provide some liquid refreshments. For my brother, a six pack of Labatt’s would do. However, for some of the craftier members of the viewing audience, I selected two bombers from Mikkeller: the Invasion IPA and the Beer Hop Breakfast. Sadly, the Invasion IPA went down a little too fast for notes but I was able to keep my wits about me long enough to put together a few notes on the Beer Hop Breakfast. G-LO and I had split a bomber of the Mikkeller Draft Bear and I just had to go back for more when I saw the two bottles over at Roger Wilco. Mikkeller is my new favorite brewer as they are a gypsy brewer and don’t actually have any facilities of their own and borrow capacity from brewers in Denmark, Norway, Belgium, the United Kingdom, and the United States. I love that it is possible to operate a brewery without any actual plant. All you need are some great recipes and a relationship with a brewery with excess capacity, and you too could be in the beer business. The Beer Hop Breakfast is brewed at Amager Bryghus, a Danish microbrewer known for their Hr. Frederiksen (a Russian Imperial Stout), their Rugporter (an American Porter) and their Sundby Stout (an American Stout). An Oatmeal Stout brewed with: water, malt, hops and yeast. Special version with extra hops and tørhumlet with Simcoe and Columbus. Coffee (Idido, lysristet) from Denmark’s coolest coffee guys Coffee Collective. Appearance: Black, thick with lots of tan foam. Aroma: Cereal grains and coffee grounds with a light hoppy note. Taste: Sweet and creamy with a heavily roasted character and a bitter, coffee bite in the finish. This was a nice blend of an oatmeal stout, a breakfast stout, and a black IPA with just the right amount of oatmeal stout, hops, and coffee. Once again, I am left wanting and must go in search of more Mikkeller. Ahhhh! This was an absolutely delicious beer. Smooth, flavorful, and infinitely drinkable! I also agree with your assessment of our other two Mikkeller experiences. Me thinks we’ll be diving deeper into their line up very very soon. We also need to try some Nogne. They are highly regarded as well. Mikkeller are excellent, their beers are nigh always top notch. I especially love that they can take the less celebrated beer styles like the various lager styles and turn out something special with it. Looking forwards to seeing what you think of Nogne. I’m still waiting for their Hash Brown infused variant. The other day I thought I saw an ad for that one available at Chick Fil-A (only ones with the kiddie drive thru). So I left early for work assuming the local South Jersey craft beer gurus would be lining up for it. To my amazement the place was deserted. Not an errant waffle fry to be seen and no “traditional union” picketers either. Very strange. Anyway, when I crept up to the window to order my breakfast biscuits (one chicken, one sausage) and Hash Brown Infused Beer Geek Breakfast (medium) they told me their was a mistake in the ad. They only had the Home Fry infused version. Crestfallen, I slunk off towards the feeder ramp to 295 north in a beaten haze. No wonder there were no crowds. I haven’t seen the straight up BGB around here. 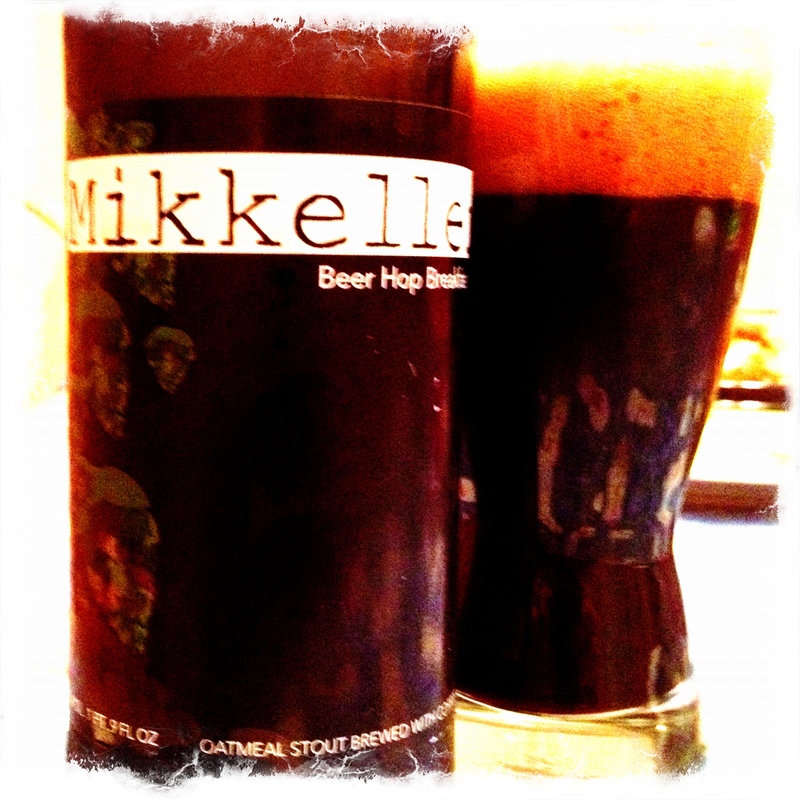 Then again, I don’t pay as much attention to Mikkeller as I should. They’ve always struck me as a bipolar Dogfish Head. Maybe tripolar is more like it. I’ve been impressed with a few of their brews and very disappointed with others. Too much hype associated with them on the whole. They’re also on the pricey side. Renting brew time must be an expensive proposition these days. Yes? And that other thing would be? Cheese? Mayo?